This is the message we are talking about. You will have a different server from a different country. But these things happen. Networking can go wrong in so many places. Here we see the issue is a couple of servers that give a time-out. Even after a mirror command the issues prevails. 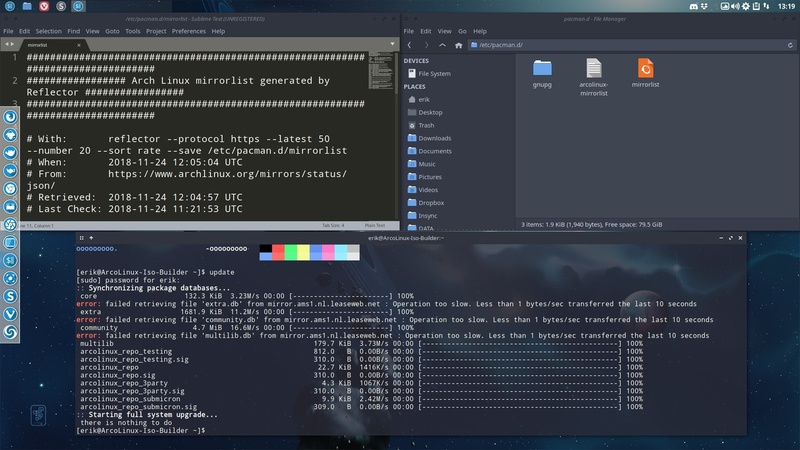 We edit the file /etc/pacman.d/mirrorlist and put a hashtag in front of all the slow servers.